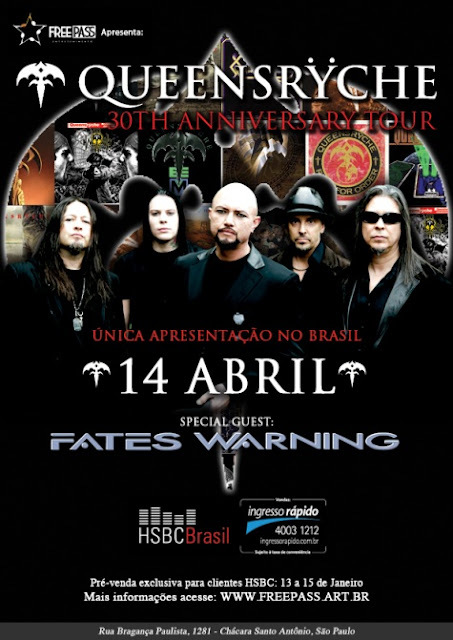 Fan-filmed video footage of Queensrÿche's April 14 concert at HSBC Brasil in São Paulo, Brazil can be seen below. 06. My Empty Room / At 30,000 Ft.
whoa they look so HAPPY on stage.hahaha. Geoff Tate is quite a b.s. artist isn't he? Good thing his wife was fired from managing the band. Guess his ex-son-in-law guitarist is next. Rest of the guys, should just do another project with a different singer. Ripper Owens anyone?